Step right up! Step right up! 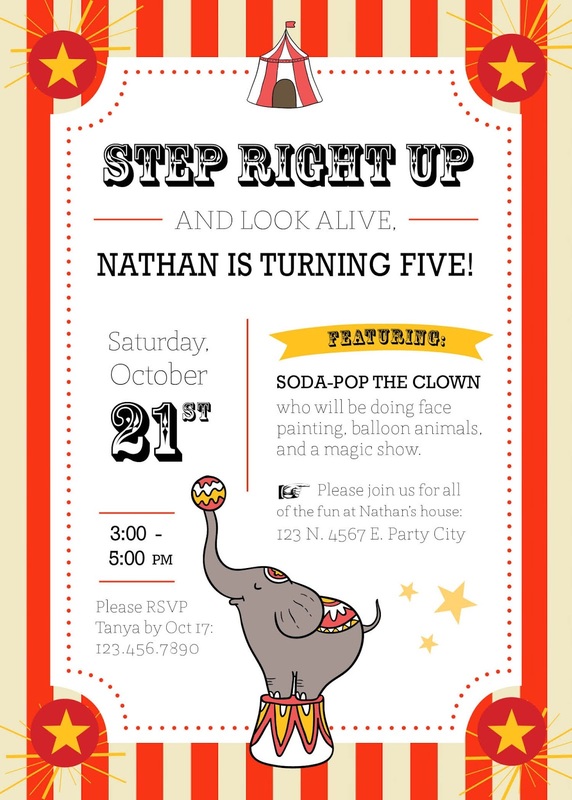 Ladies and gentlemen, children of all ages, I bring unto you this party invitation! 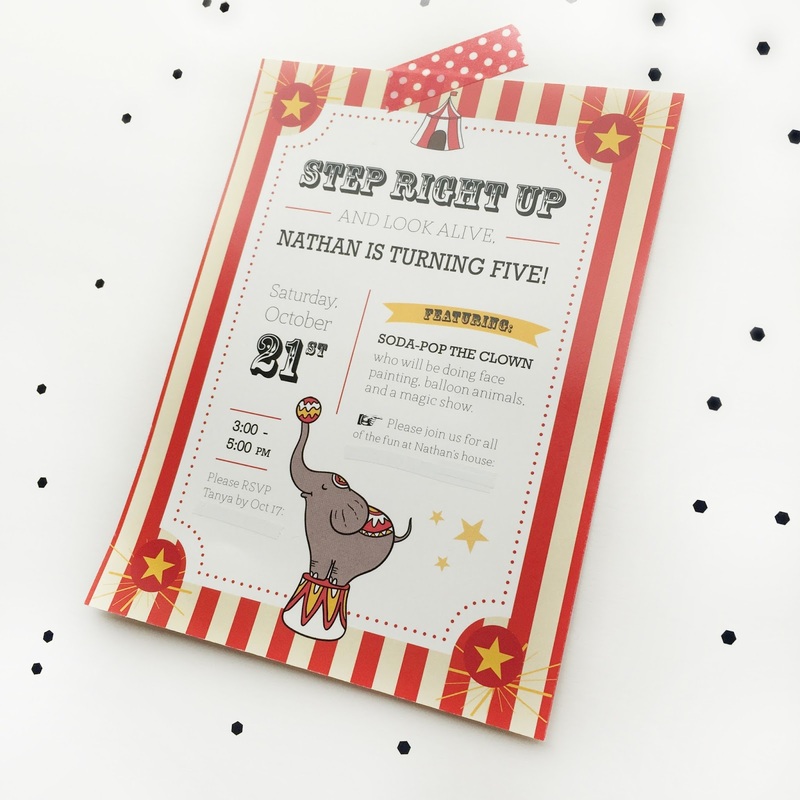 This circus themed invitation was so fun and I heard the party was even better! Soda-Pop the clown was there to give the kids a real show. What a fun birthday party!